Home » blocks » Newbie jumps in! After about three years of ‘lurking’ on the lotto and admiring all the lovely blocks that you’ve all made I’ve finally plucked up the courage to join! 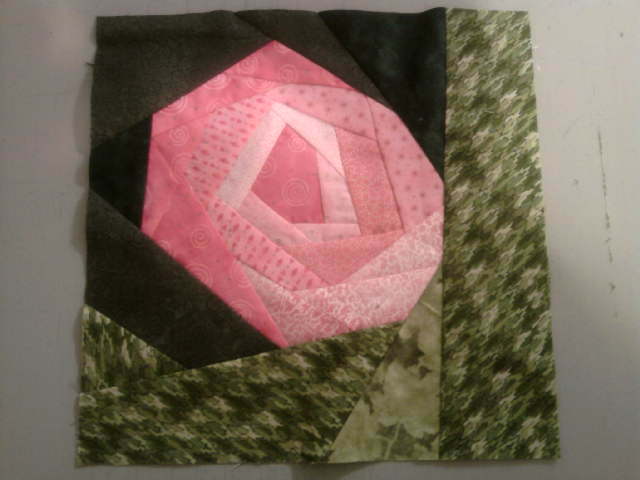 I hope my rose block is acceptable – if not please let me know and I’ll re-work it! lindissimo.As cores ficaram bem distribuidas e o trabalho muito delicado.Parabens!! That's a very pretty rose!